Michigan is home to both hot summers, and cold winters. Keeping your family comfortable all year round means having a functioning heating and cooling system. Both of these systems need regular maintenance and repairs when something goes wrong. Keeping your systems running efficiently and effectively extends their life, and saves you money. If you are in need of heating or cooling services in Okemos, contact our experts at Applegate Home comfort. We are dedicated to providing you with the best HVAC service in Michigan to keep your family safe and comfortable. Here’s a look at our quality services, and how they can help your home. In the brutal Michigan winters, it is crucial to have a proper heating system to stay warm when it is below freezing outside. Proper heating system and furnace maintenance will make sure that your home stays warm for many winters to come. It is recommended that your home heating system gets a regular checkup before each winter to make sure that it doesn’t need any repairs, and will run as efficiently as possible for the upcoming winter. We help your furnace work only as hard as it needs to, extending its life, and saving you money on energy and more frequent replacements. If your heating system is not warming your home, your furnace is making odd sounds or smells, or it’s been a while since you’ve had a professional look at your equipment, give us a call. We want you to stay warm, and will make it our job to get your heating system back in shape. Similarly, it is incredibly important to keep your family cool in the hot summer months to keep them safe. This requires a proper cooling and air conditioning systems. The summers can also get very humid, and your system also needs to be able to clear your home of that excess moisture to keep your home free from mold, mildew, and other potentially harmful substances that thrive in warm, damp environments. We can make sure that your cooling system is doing what it needs to, and that your home is equipped with what it needs to get you through the summer. Like with a heating system, your cooling system and air conditioning units should be checked every year in the spring to make sure that it does not need any repairs and will run efficiently all summer long. If your cooling system is not functioning properly to keep your home cool, if it hasn’t had a checkup for the summer, or you wish to save money on your summer energy bills, give us a call. We will work with you to find the best solutions for your home. 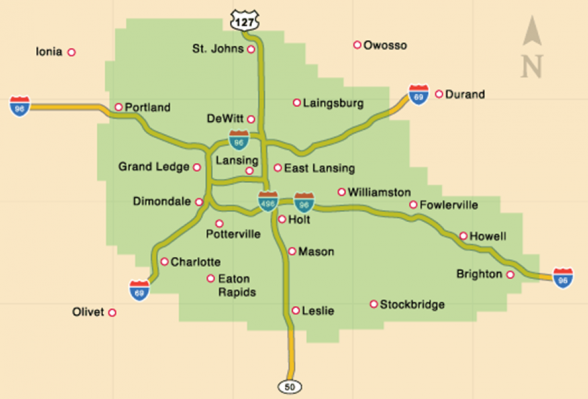 If you are in need of heating or cooling service in Okemos, Michigan, look no further than Applegate Home Comfort. Give us a call at 517-337-7700 today to talk to one of our experts, or contact us here. We are also available 24/7 for emergency maintenance and repair services. We are looking forward to working with you.